Careful line breeding at Winsong has produced nice fronts, short backs, leg for balance, elegant arch of neck, and clean eyes. We continually strive to produce stilted rear movement. 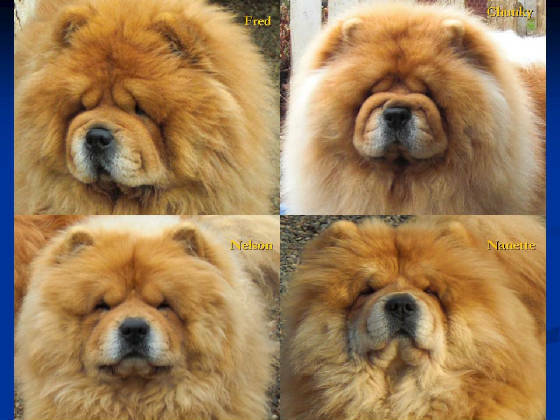 Look at the consistancy of these 4 chows. The top two are Ch. 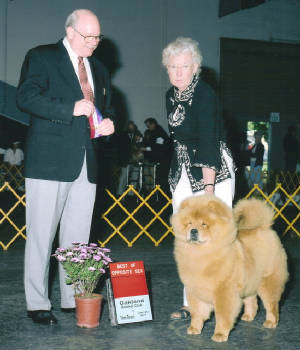 Winsong's Fredrick The Greatest (Ch. Los Cerros Top Contender ROM x Ch. 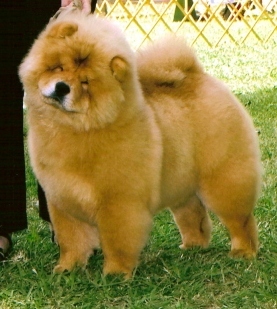 Winsong's Yetty ROM) at 5 years old and Ch. 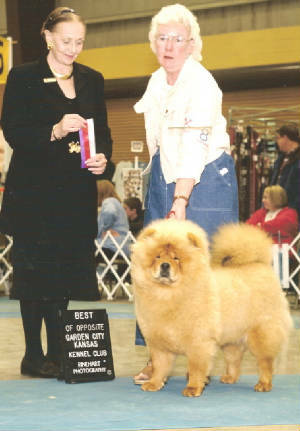 Winsong's The Kinsman aka Chunky Monkey (Ch. 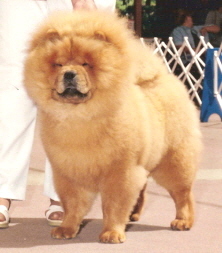 Nawshi's Vice-Count Winsong x Winsong's Don't Ya Love It) at 3 years old. They are uncle & nephew. The bottom two are Nelson and Nanette, Fred and Leah's children, at 15 months of age. Yetty's girls, Fantasia, Bubbles, and Leah are a fine example of consistant breeding. Yetty has produced a few carbon copies..at times, its hard to tell them apart. All of these pictures were taken when the girls were 12 to 18 months old.